Moto: "victory from Allah and conquest is soon”. The Emir took advantage from his previous experience which he gained from his journey to the Arab world especially during his stay in Egypt, he was interested in the administration of Mohammed Ali Pasha. The Emir has assigned the presidency of the Shura Council to the Supreme Judge Ahmad Ben Hashemi Al-Marhi where he had book so will record all issues then address them to the Council then the decisions are made by the agreement of all members of the council. 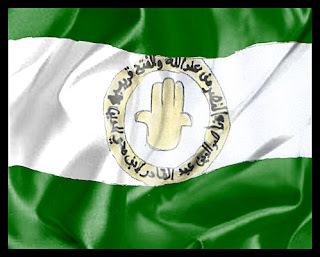 Like every state it must have a unique flag and emblem which differs them from others Emir Abdelkader choose the flag to be made of flax and silk, the top and bottom of the flag are in green and white in the middle also it has a symbol of a hand with writings in gold saying” Nasir Al-Din Emir Adbelkader Ben Muhieddine and victory from Allah and conquest is soon”. 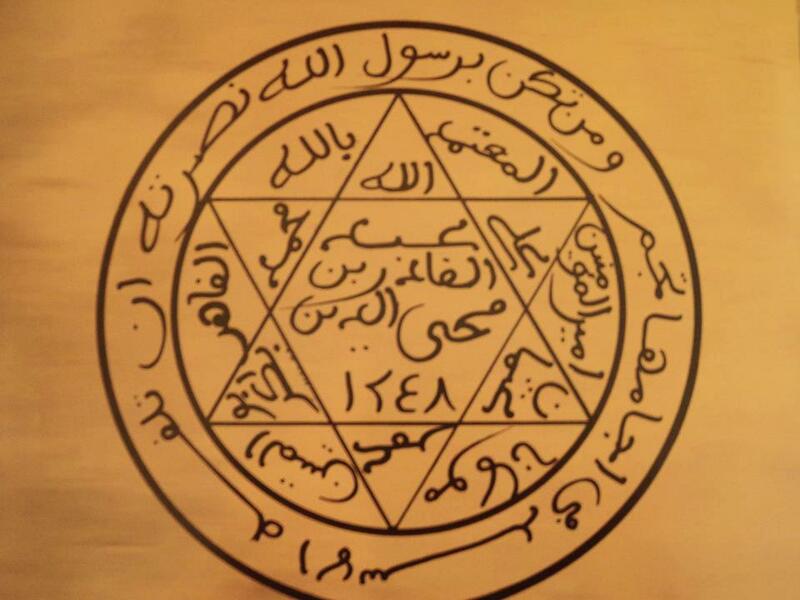 The emblem of the state is in a hexagram shape, there are writings in the sides of the shape which are: Allah, Mohammed (Peace Be Upon Him), Abu Bakr, Omar, Othman and Ali. 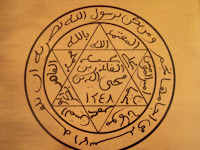 In the middle of the star it says Nasir Al-Din Emir Adbelkader Ben Muhieddine. After the establishment of the emirate, Emir Abdelkader has divided his emirate into administrative provinces to facilitate the management and ease the burden on the central government. Each Province was divided into districts then it divides to a group of tribes, the head of a district is called Agha and the Sheikh was the head of the group of tribes.